With stories from around the web, as well as intrepid reporting from our own dedicated team of hard working and top notch PlayStation-loving writers, PS4 Experts is the only place to look to find all the current news on the PlayStation 4. The PS4 continues to lead the gaming console market. We've compiled a list of the rumored games that may make an appearance at Sony's E3 press conference. Just what is Project Beast, Sony's secret PS4 project? If the rumors and screenshots are to be believed, it's Demon's Souls 2! We're got the full Electronic Arts E3 2014 lineup. Lots of good stuff coming out for the PS4! Call of Duty: Ghosts is still the top selling game on the PlayStation 4, six months after launch. Ed Boon is hinting towards a new game, places your bets now over whether it's a new Mortal Kombat or Injustice! Electronic Arts has revealed that there will be no Need for Speed game in 2014. Metal Gear Solid V has shipped over a million units! Pretty impressive for a game many just called a "demo." Call of Duty joins the X Games! Wait, what? Towerfall Ascension is a huge success, thanks in no small part to the PS4. At a recent press conference, Sony unveiled 12 new indie games! Check out the list inside. Warframe is the PlayStation 4's most popular digital game, as of April 2014. Read how this game is changing the focus of the PS4. Electronic Arts has released the first Madden 15 trailer! It shows off what could be in-game graphics. Sony is teasing "very exciting things" for this year's E3! What could they have up their sleeves? Facebook originally scoped out Project Morpheus before purchasing the Oculus Rift. Details inside! Sony has just announced the "Road to Greatness" tour, allowing gamers to play unreleased PS4 and Vita games. In Texas, a 9-year-old boy sacrifices a chance at a PlayStation 4 in order to do some good. 30 of the best lines from the Snoop Dogg multiplayer voiceover pack from Call of Duty Ghosts. You really won't believe what you're about to hear. Activision and GameStop are offering a one-day promotion on April 29th: Buy Amazing Spider-Man 2 and get two free movie tickets! Naughty Dog suffers more departures. Is something amiss? Sony has revealed what PlayStation Plus members in Europe will be downloading in May 2014. We've got the full list for you inside! "Lord of the Fallen" developer states that reaching a 1080p resolution is harder on the Xbox One compared to the PlayStation 4. Sucker Punch has detailed the rewards for the Paper Trail set of missions in InFamous: Second Son! No, it's not paper power. Activision has revealed the first image for Call of Duty 2014. Do you think it looks impressive? The newly announced GRID Autosport won't be hitting the PlayStation 4 when it releases later this year. We have the answers why. Digital Foundry compares the PlayStation 4 version of Trials Fusion to all other consoles. Does the PS4 come out ahead? Of course it does. Ubisoft has revealed that to date, the Assassin's Creed series has reached 73 million sales! That's a lot of assassins. Microsoft is "in it to win it" at this year's E3. Should Sony be worried? Sony has filed two new game trademarks! Could they be for the PlayStation 4? Tecmo Koei is asking for help from gamers with finding the bugs in Dynasty Warriors 8. The first trailer for Batman: Assault on Arkham has been released! This animated feature takes place in the Arkham universe. Housemarquee is teasing DLC for Resogun in the form of local co-op! The developer promises "more features to come" in the coming weeks! Square Enix plans to go back in time and focus on JRPGs, just like the good old days. Ubisoft has announced a new piece of Watch Dogs tie-in content: an eBook set in the game's universe. Shaq Fu, one of the worst games in existence, is receiving a sequel! Even more shocking is that this sequel could end up on the PlayStation 4. Square Enix has just announced that Final Fantasy XIV has reached two million subscribers, thanks in no part to the recent release of the game on PlayStation 4. A last minute delay hits Amazing Spider-Man 2 on Xbox One, making the PlayStation 4 the only current generation system to get the game on April 29th. Titanfall could have been on the PlayStation 4 after all and surprisingly, Sony was at fault. Capcom spends $78 million in an attempt to make themselves more relevant in this current generation. Only time will tell if this strategy will be a wise one. Sony's dominance over the current generation continues as the company announces the PlayStation 4 has sold over 7 million units! IGN has released a video comparing the graphics of the PS3, PS4 and PC versions of Final Fantasy XIV. Which version do you think looks best? We have the lowdown on SHAREfactory, Sony's upcoming tool that lets you edit your shared video clips! We have the March 2014 NPD numbers! Which game was on top for the month of March? The answer may surprise you. Borderlands: The Pre-Sequel won't be hitting the PlayStation 4. Gearbox's Randy Pitchford explains why. Sony outlines some of the improvements coming to the Twitch and Ustream services on the PlayStation 4. Popular zombie game DayZ may see a release on the PlayStation 4 according to its developer. The Art of Naughty Dog art book celebrates 30 years of Naughty Dog with a collection of both official Naughty Dog artwork and fan art! Call of Duty: Ghosts is releasing its first ever multiplayer voice over narration pack featuring the vocal talents of one Mr. Snoop Dogg. We've got a full preview of what you can expect in firmware version 1.7 for the PlayStation 4! Volition shares the details of codename "Zeus," a cancelled PlayStation 4 game that sounded downright amazing. Could Rock Band make a reappearance on the PlayStation 4? It looks like it could happen! Warframe turns one and to celebrate, Digital Extremes is giving all users a free weapon! Engadget presents a detailed history of the career of Shuhei Yoshida, the head of the PlayStation group. Sony has signed over 1,000 indie developers on the PlayStation 4 and has released a video to celebrate. Congrats Sony! Check out the official list of the top 20 sellers on the PlayStation 4's PlayStation Store for March 2014! Sony has announced its first bit of original programming: Powers, based on the comic of the same name. InFamous: Second Son has sold over one million copies on the PlayStation 4! The first piece of Outlast DLC, Whistleblower, is hitting the PlayStation 4 next month! Activision has revealed an official release date for Devastation, the second DLC pack for Call of Duty: Ghosts! This week's PlayStation Store updates for the week of 4/8 for the United States! New features are coming to the PlayStation 4! No, it's not a YouTube app. Redbox has begun to offer PlayStation 4 game rentals! Will you be taking the service for a spin? The Doom beta is coming to the PlayStation 4. Check out what you need to do to enter the beta inside! Driveclub is going through a rough patch, but could the game be cancelled for good? All signs point to "Yes." Sony has officially unveiled its long-rumored virtual reality technology at GDC 2014 for the PlayStation 4. Check out all the details inside! Arkham Knight preorder numbers are higher on the PlayStation 4, says insider. Uncharted 4 secrets already exist on the Internet, according to a Naughty Dog developer. But is the game going to be worth playing now that one of the main writers left? Ubisoft discusses the delay behind Watch Dogs, explaining exactly what it meant when it needed to "polish" the game. Every year, Sony hosts the Spring Fever sale on the PlayStation Store as a way to highlight March's notable indie releases. This year, the Spring Fever sale has extended itself to include the PlayStation 4 in addition to Sony's other systems. Has Titanfall got Sony running scared? The company has just announced that Killzone: Shadow Fall's multiplayer will be free for a week along with some free maps. Rumors state that Sony's new virtual reality technology may finally be ready for an unveiling. WWE Network has launched on the PlayStation 4! Move over Rock, we've got a new People's Champ here. Sony has reached its PlayStation 4 sales goal a month ahead of schedule! Are you part of the 5.3 million? Titanfall on the PlayStation 4 was supposedly in development, thanks to a look at the game's code. Sony denies all rumors about a PlayStation 4 / Vita bundle. A list of upcoming PlayStation 4 game from February to May. Lots to look forward to! Microsoft to increase the graphical power of the Xbox One in an attempt to compete with the PS4. Will it be successful? DailyFinance states that most people aren't buying a PS4 for the games. We disagree. The PlayStation 4 is randomly deleted your save games! What is Sony doing about this issue? Microsoft talks about the PS4's specs and states that its the games, not specs, that sell consoles. The PlayStation 4 outsells the Wii U in the United States! What's next for Sony? PlayStation 4 games are 10x more work compared to the last generation. Are they 10x better as a result? PlayStation 4 sales exceed 4.2 million! Were you one of those sales? Could Skyrim be coming to the PlayStation 4? Possibly! Sony has revealed its backwards compatibility plans with the PlayStation Now service! The PlayStation 4 outsells the Xbox One once again. Read inside to see where and by how much! The PlayStation 4 was the most-googled gadget according to search engine Google. Were you part of those searches? The PlayStation Blog reveals the top winners for 2014! Where did your favorite games rank? Sony promises some amazing games in 2014! What do you think we will see? Looking for a PlayStation 4? You may have a long wait in front of you. A United Kingdom council compares the energy efficiency of both the Xbox One and PS4. Which console is better? GameSpot conducted a survey to determine the most satisfied next generation customer. Did the PlayStation 4 come out ahead? PlayStation 4 is the top selling console in November 2013! Fallout is real according to leaked casting documents! PS4 outsells the Xbox One on eBay! PlayStation Network is currently experiencing some technical difficulties. PS4 users have used the Share button over 6 million times! Don't Starve will replace Contrast on PlayStation Plus. The 20 best selling games on the PlayStation 4 for November 2013! PlayStation 4 is well on its way to reaching the three million sold mark. Sony is offer a steep discount on PlayStation Plus just in time for the holidays. Did someone sabotage the PlayStation 4 launch? PS4 games on sale at Wal-Mart. Call of Duty: Ghosts is the PS4's best selling game! How much profit does Sony make on each PS4? PlayStation 4 surpasses one million consoles sold! Sony responds to low review scores for its two exclusive games. PS4 suffers from launch issues, including the PlayStation Network not functioning to video errors. PS4 may be recording your data! South Park presents a humorous look at the PlayStation 4! Independent developers helped changed and define the PS4. Street Fighter may be coming to the PlayStation 4? Sony wants three million consoles sold by the end of 2013! Sony tours its video and music services. Free goodies with your PS4 purchase! Sony to restore missing music support. GameStop special PS4 trade-in event. The PS4 is taken apart! Spike TV and Sony are hosting a launch event. Five videos showcasing the PS4. The PS4 FAQ outlines all your PS4 questions and answers. Target is running an amazing deal on PS4 games! A video celebrating the PlayStation's life. GameStop's Black Friday advertisement includes awesome deals for new PS4 owners. The PS4 will require a day 1 download to unlock all of its features. An article discussing the PS4 price in Brazil. PS4 units available to demo at select stores! PS4 games available on the PS3! PS4 to outsell Xbox One. Amazon upgrading PS4 preorders to Release Day delivery. Taco Bell is giving away free PlayStation 4 systems! Could GTA V be the best selling video game ever? Sony Looks To Fulfill PlayStation 4 Demand By The End Of 2013. Developer claims PS4 is 50% more powerful than competition. Sony held a press conference in Japan detailing some new PS4 and Vita news. Could Sony be making a VR Headset For The PS4? PS4 at PAX Prime. News about the event. Dead Rising 3 will always remain an Xbox One exclusive. PS4 has received over one million preorders! PlayStation 3 to PS4 Upgrade Plan. Official PS4 release date announcement and related information such as price, games, specs and more. PS4 launch games lineup revealed! PS4 Release Date Announcement at Gamescom 2013. Finally PS4 fans across the planet got to know the answer to the ultimate question, when. On August 20, 2013, Sony will release the Playstation 4 launch date at the Gamescom conference. The PlayStation 4 may be bundled with the Vita to increase sales of the struggling portable. PlayStation 4 controllers and camera available at Amazon! Two videos showing the PlayStation 4's external features. PlayStation 4 bundles are available at Amazon! PlayStation 4 games may cost $80 from EA in the next console generation. Amazon is now the second retailer in the US to sell out of the PS4! GameStop announced today that they are officially stopping all PS4 preorders for the upcoming console due out this winter. Demon's Souls 2, Edge declares PS4 the winner, Tretton on the PS4 camera and more! One lucky fan will win a trip to Gamescom to preview the PlayStation 4 up close and personal! Amazon, the online retailer states that "Amazon customers were pre-ordering more than 2,500 Xbox One and PlayStation 4 consoles per minute." The Oculus Rift has been heralded as the next generation of 3-D technology, and may hit the PS4 in the future! Sony released 2 videos at E3 2013 that we feel really display why the PS4 is the undisputed winner of the next-generation console war. A look at the E3 2013 conference. We'll compile the best PS4 information for you as a one stop shop for all announced games and information. Microsoft is looking to undermine Sony at E3 2013 by paying publishers to only display the Xbox One versions of their multiplatform games. PS4 could retail at $349, $50 less than what industry analyst Michael Pachter can expect the Xbox One to retail at. Sony is set to officially unveil the PS4 at E3. Also we have some news about Gran Turismo 6 and the new XBox one. Sony gives us our first look at the PS4! Sony has trademarked the slogan "Greatness Awaits. Industry heavyweights weigh in on the PlayStation 4 along with what could be our first look at Gran Turismo 6! 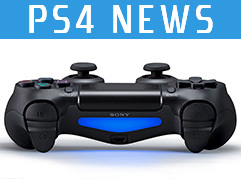 Welcome to your weekly dose of PlayStation 4 news from around the Web! First off we have a new game announcement, hot off the presses! Bethesda has just announced Wolfenstein: The New Order for next generation consoles, expected by the end of 2013. Expect a full PS4 Experts look on this game in the coming days! In hardware news, we've learned that Sony is giving developers power over the "Share" button, allowing them to enable and disable the feature at will. The reasoning behind this is that developers might not want players to spoil important plot or character information, like a game's final boss. Could Sony be making a mistake allowing developers to disable one of the main features that makes the PS4 stand out? Only time will tell. On the subject of used games, analyst Michael Pachter has stated that despite Sony allowing developers to block used games, the developers won't go in that direction. Good news for GameStop and your wallet! You already know the PS4 would be hard to get at launch but now Sony is apparently falling behind schedule on PS4 production, reports Nasdaq, which will lead to a shortage of the system in the US. Best lock in that preorder ASAP when the release date is announced! That's all for this week! Check back every Tuesday for your look at the hottest gaming news from around the Web, only at PS4 Experts. April 30th, 2013 -- New Hardware Information, Release Dates, Quantic Dream PS4 Impressions and more! - The PlayStation 4 is like "something that really is more like the PC of next year or two years." - The Quantic Dream demo shown at the PS4 reveal conference is only the beginning of what the PS4 technology can do. - Quantic Dream saw a major improvement with the PS4 when running tests comparing both the PS3 and PS4. While we already know the PS4 was more powerful than its predecessor, Fondaumiere has confirmed that the PS4 is more powerful than any of us believed. But that's not all that's going on with the PlayStation 4 this week! We've seen a release date for Watch Dogs, exclusive content for Assassin's Creed IV and development issues with Thief come to the forefont. You can read all the details on each game's page, accessible from our PS4 Games page. While there, also check out what Mark Cerny has to say about the PS4 launch lineup! Sony has revealed new information about the DualShock 4 controller. Check it out at our Dualshock 4 page! What will happen with your PS3 trophies when the PS4 arrives? Industry analyst Michael Pachter has a theory you will want to check out on our PS4 Online page. Want the latest rumors about upcoming PS4 games? Visit our PS4 Game Rumors page for all the latest rumors. We've updated the page with information on the next Tiger Woods game, Final Fantasy XIV, a new game from High Moon Studios and more! May 21st, 2013 will finally reveal the last major player in the next generation war, as Microsoft is set to reveal the new Xbox to the world on this date at 10:00 AM PST. What does this mean for PS4 fanatics? Well, it means we may see a large amount of new game releases on the 21st, as rumors state that many companies were holding back on announcing their multiplatform next generation games until all the consoles were revealed. One game that keeps coming up in this regard is Battlefield 4 in addition to a new Call of Duty. Even though you may not be interested in the next Xbox, it may be a good idea to check out the conference just to see what potential new multiplatform games the PS4 will receive. We'll have all the details of the conference at our sister site at Xbox-Experts as they happen! "I think it's [the PS4 controller] more relevant to what we were just talking about there, that the controller is a very important aspect of the physical design that influences the gameplay. So that's why it's more important for us to talk about the controller at that event because of course we wanted to talk about how we'd improved the DualShock 3..."
"I'm not sure it's instructive for me to start trying to describe or talk about what I've seen or haven't seen in terms of the actual look of the box. But yeah, you know it's going to be another fantastic design and we can't wait to reveal it." It's expected that Sony will reveal the look of the console in June at E3 2013. Programmers at Sony have been fervently working on the ps4 since the release of the ps3. Don't worry about it, there's plenty of time and sweat going into it. Considering what the rest of the world has started doing, 3D is a high probability. Though, I hope you can decide whether or not you'd like to play in 3D. It gives me a headache. ;) But I like it in moderation. Does anyone know how big it will be? Xbox 360 and PS3 are not actually that far apart in sales, considering the PS3 was released a year after Xbox this shows how well the console has done, of course Wii outsold them both by at least 20 million units, which shows that system having the earlier release date and more consumer appeal to a wider audience is what gained them that level of sales. BTW Red Ring in a lot of the 360's hardware and far fewer Yellow Lights in PS3 shows that what you've said about the PS3 is quite hypocrytical, . The only reason Xbox live has better support and other things is because it's paid for, which is why there weren't mess-ups on internet support from Microsoft, for a free service PSN has actually been pretty good, besides the one major issue with the hack every time I've wanted to use my PS3 online I've never had any problems, I have an Xbox 360 aswell and tbh I wouldn't say that Xbox live is actually that much better, for what people are paying for the service it isn't that far apart from PSN, basically microsoft is rinsing people of money to play games online and gain access to a service where they can buy more content through points which they pay for. Sony has a lot of good exclusives with Uncharted, Resistance, Infamous, Little Big Planet, God Of War, Rachet and Clank, so no forgetting the PS3 name and it's entire catalog of games wouldn't be a good move, backwards compatibility in PS4 is essential to a massive group of PS3 owners, same goes for Xbox 360 owners, I'm one of both and to be able to box up both last gen consoles to make space for the new ones frees up plug sockets and space under my TV, it just makes sense and wouldn't require much in the way of hardware to make such a thing work. It's in game developers interest to make their games for multiple platforms because the size of the userbase they get to sell to is massive. Cell is clearly a powerful piece of technology, considering what GOW 4, Uncharted 3, The Last Of Us and Beyond all look in the graphics department and how smoothly they all look to play even with the hardware being pushed to it's limits shows how a power boost to a new cell could give an amazing level of graphical power in the next console. BTW I'm not saying newer, regular PC hardware won't push things above what PS3 does, that's of course evident on current PC hardware, but to count out a piece of technology like the Cell because some developers initially had issues getting to grips with it is BS, all Sony has to do is provide better developer support, make a new cell more accessible, give plenty of ram in the hardware and things will run far better than they do now. Disregarding the cell when it's cost them so much IMO shows why they likely won't drop the tech or why it'll have to be a feature in the next machine. Apparently Sony filed a patent for a 4 ppe, 4 spe cell in 2010, this has been mentioned on the site Neogaf, with extensive research being done by the user Jeff Riggs. This cell apparently shares similarities to AMD's HSA technology, Sony is also apperently working this into a stacked system, with ram stack very close to an AMD APU that features cell components. BTW if Sony wanted to they could come out with this quad core cell and if they manufacture it at 20nm it'll have 1.2 TFlops in graphical power without any GPU and each cell would take up less space than PS3's cell, using less power to boot. Jack Tretton has already said Sony wants to bring the best machine they can, so I think it's worth keeping that figure in mind, it'd make for a console that's at least 6 times more powerful than PS3, add in a moderate GPU chip into that cell and it'd be easy for Sony to produce a console with 2 Tflops and since another dedicated GPU has been rumoured to be a part of the system this only goes to show the system could be in excess of 10 times more powerful than PS3, that kind of power in a console will easily make for full native 1080p, with high levels of effects and frame rates too. TBH with a new cell Sony can reap the rewards of all the dev costs they paid out and factory buying they did for the hardware when PS3 was made. A new cell would be more cost effective than buying up anything from standard PC parts that won't come close with off the shelf parts in cost per performance. Considering cell can do graphics and the other stuff Sony could just make a hexcore cell, with the same layout as each PS3's cell, just shrink the CBEs down to modern levels (manufactured around 20nm) and have a beast that can produce almost 5 TFlops, make it a stacked unit with a decent amount of fast unified ram, add in a 12x bluray drive, put the OS on SSD, use said SSD for updates and quick loading/saves, give the console a decent power source, plenty of cooling and they've got a machine with the majority of parts being made in house, which means less of a loss when the machine comes out. Considering Bluray is far cheaper now than it was 6 years ago that frees up money to spend on a new cell, power and cooling. If some PS4/AMD rumours are true then all Sony has to do to keep BC is add in PS3 hardware and turn it off until it's needed to play PS3 games, thus no power drain until PS3 games are in use. I do agre in 100%. I just wish the doit as soon as posible. And I would say with benefits for Sony. As I mention in some other article, that time is a key to get more customers and fanboys ahead of cometition. The PS3 is more powerful than the Xbox360. Why? Think of it, Sony is a big company< right? And so is Microsoft. The PS3 didnt suffer that much. Yeah the got hacked so what? The Xbox has always had a failer in itz system, it can have the Red Ring of Death. Even the new Xbox720 will have it. trust me. PS4 is the most powerful piece of technology made. It will be a hit. so say goodbye Microsoft. and let me tell you this much, Microsoft doesnt really care about anything but money. the get the cheapest crap they can find and puts it in the stuff. thats why the new Black Ops game is going to push the Xbox's to theyre limit. PS3? Hardly affected. Do you realy know what you saing??? Xbox is still the best selling console in US and not only. I do love PS 3 but i see how it goes. Sony is on a bed revenue sins last year. PS 3 is not selling as they wish. Beside why if PS is so powerful I see still better graphics on my frends xbox 360s, as we talk about multiplatform games? You can't judged only on aspects of what you like, but on how looks the truth. Reconsider pleas based on facts, your opinion. Lets put things into perspective, when it comes to sales globally PS3 is a little over 3 million units behind Xbox 360 and 360 was released about a year before PS3 came out (PS3 has sold more units in Europe, Japan and Canada). Multiplatform games are in most cases actually made for the Xbox first (because it's closer to PC hardware) and ported to PS3, so they aren't made with PS3 hardware in mind and those devs for the most part can't be bothered to take full advantage of the PS3's hardware due to monetary reasons. If we look at PS3 exclusives, like the Uncharted games, God of War 3 and 4, The Last Of Us, pretty much all exclusives (minus maybe Forza 3 or 4 vs GT5) look better on the PS3 than the Xbox 360's exclusives. The Last Of Us is a big example of this, it's textures and overall look is far more acomplished than say a recent title like Halo 4, which has textures that look more flat. BTW I have both Xbox 360 and PS3, I like both consoles, but to be objective the majority of games that are actually made using with the cell in mind look better when compared to 360 exclusives. Even a game like Gears of War 3 isn't as good looking as Resistance 3.
look the sony company started playstation off with the psx, but it was junked but the ps1 was a hit with epic 3d graphics by the time the xbox was released the ps2 was out which had great games then came ps3, the xbox360 and the wii. alot of people would say that the ps3 and 360 are rival consoles but i think that in sonys "eyes" nintendo is the rival when the 3ds got second analog stick sony made a third analog stick for the vita afterwards coincidence i think not. Nintendo has been selling consoles and making really fun video games since before sonyy got into the video game franchise, which raises the question, why does the wii have good games but crummy graphics while xbox and playstation have both great games and great graphics. The reason some multi platform games look better on 360 is because they are made to the 360's limitations rather than ps3' limitations. Honestly if the ps4 is coming out with out backwards compatible and or not able to play ps3 games, then that would consider to be a waste of my time and find no reason to buy it. Eventually they are gonna lose some money if this ever came in porduction. when the ps3 came out it was around $300-$400. it was because of how expensive it was to make the ps3. the ps4 is at a good price range for how expecive it is to make a such powerful console. the xbox 720 is acually based around $700. it was a very very cheap made console. PS3 was actually $499 (for the 20gb) and $599 (for the 60gb) when it was released in the US, it sold for £425 (this was the 60gb) in the UK. If Sony goes with something like a custom AMD APU (like the A8, only with a better built in GPU chip), slaps in a 6870 as the descrete GPU, 4GB of ram and all the other stuff they could still produce a PS4 with at least 10 times the power of PS3 and make a next gen machine that costs £300, while making a far smaller loss than they made on the PS3. AMD could still likely make hundreds of millions to a few billion over a few years of PS4 sales if PS4 sells tens of millions of units. Apparently AMD's APUs share similarities with cell, hell if Sony just goes for an improved cell (quad or hex core, shrunk down internals to 28-22nm on everything and fewer SPUs per core, plenty of memory cache in the chip) they could easily make a multi teraflop machine out of that chip alone and build it in house with their factories. Considering Xbox 720 info microsoft has had their lawyers pull from the net puts the 720 at potentially a similar power level to Wii U this would actually make the PS4 the most powerful next gen console and a GPU like the 6870 alongside either a modded A8 or their own cell would mean we'll likely be getting high PC level settings and all it would take is for Sony to put in a decent PSU and a high end cooling (which would be cheap to make in house). Ur retarded...lol. I'm a tester for game systems. It cost about 75 dollars to make... its the labor and the rate of demand. That'd what makes the price...its simple biz ethics. ....Sony /Micosoft/...will rid nintendo by blowing up factories...this will not be good but its the only way they both can survive without banktrupsy......of trying to out do one another! will i be able to see my frends from ps3 on ps4? This system better be extremely gripping. Im hoping the creaters of this ps4 thought out of the box rather than in it. Xbox has sold more consoles than ps3 because they break. Plain and simple and if u actually look at the statistics tics. The 360 has sold around 71 million consoles and the ps3 has sold 68 million and the psvita has sold around 4 million. The ps3 doesn't breakdown nearly as fast as 360 therefore people don't have to buy a new one. So I would say the ps3 has an estimated 5-10 million more users. Not to mention the 360 only outsells the ps3 in USA. The ps3 owns all other major gaming markets. So I hope that helps the debate. Also there are growing reports that the Chinese government will allow ps3's to be sold and support online play. So there's no telling how many more people will be playing it. Xbox isn't selling in any 3rd world markets. Ps3 is selling in 3rd world and gaining ground. I estimate that ps4 will be king of the consoles based purely on the growing markets. China will bump the Ps3 ahead once and for all. Thank you that's my piece. The PS3 has technically sold faster than the Xbox 360 globally. Now PS3 has sold 70.2 million units, next the 360's 70 million, so PS3 has now overtaken the 360. As the post underneath mine says the PS3 was released a year after the 360, technically PS3 would be at a similar level if it had sold 10 million units less than the 360 because of the console coming out a year after 360. If PS3 is now edging out the 360 in sales it shows that Sony's machine is in more demand, this may be to do with the fact that PS3 is a reasonably priced, well equipped bluray player, as well as a quality games console, which has increased value in the eyes of consumers over the Xbox, which cannot play blurays. What will happen next gen remains to be seen, technically from a sales point of view the Wii was the king of the current generation selling over 90 million unit. Wii U is selling well, some 400,000 units from US sales alone, nintendo expects they will sell about 3.5 million by the of the year around the globally, we'll have to wait and see how PS4 and Xbox 720 do, though I think demand for them will be high. In terms of hardware performance I don't doubt PS4 & XBox 720 will be a significant jump in power compared to the Wii U, probably with costs not being much higher than the Wii U if both companies don't try to bundle performance tablets with their machines, but even if they did copy nintendo they could probably add a decent jump in power by not going down the low-wattage, tiny box route that nintendo has with the Wii U.
I have to agree with this. I personally went through 4 xbox360's.. 4 is a large number when we're talking about a console that maintains a high price for the first two, the other two were around price drops. One of those were used. I got my playstation and i have not a problem. It was actually my "computer" until i got my rig i use now. But i still frequently get on. And just saying, i don't know a single person that has only had 1 xbox. That is a terrible failure rate, just in my small town. I'll say roughly 9 friends i can think of right now, have went through 2 or more xboxes. 9x2= 18 xboxes. Ridiculous. But i'm not a fanboy, this is just the truth people don't want to see. Kinda like how CoD fans don't "believe" Battlefield 3 captures the war experience better in a more adult fashion. Just look at the facts and accept it. My view is that i dont mind buying american as long as they dont touch my electronics, i mean microsoft and apple are just plain junk i like quality electronics preferably japan because im sorry being an american myself we dont do electronics well here they break and spaz out. I love my ps3 had it for 3-4 years now and had 1 YLOD and fixed it by wiping my hdd and my uncle has had 3 RROD and had to replace all of them and finnally got a ps3 and hasnt had a single issue. any model 250gb and up are just unbreakable. ive played mine 18 straigt hours and it was only slightly hot and never slowed down. and the controller issue is just rediculous first they sell aftermarket ps3 controllers for bigger hands, secondly i have huge hands and find myself having trouble holding the xbox controllers because of the design my hands just slide off...and for ps3 i dont even have to buy batteries, my uncles controllers died and he had to go buy batteries at the dollar store because he had used all of them in his controller. xbox and ps3 graphics are the same people 30fps 720/1080hd almost identical in speed. the only thing i am jealous of is their dang forza series gt5 yes has 1000 cars but only 200 are completely finished and they have only 4 mustangs but the same year skyline with a different engine style. oh well i will never own a piece of junk and that anonamous guy that says xbox sold more because they break is one of the smartest people in this discussion. One of the major points I hear from 360 players is that it's better because it has party chat. That is a bunch of bs. First of all with all the technology available, just use Skype or something. Its not a deal breaker. Party chat is something that kids like not gamers. And second of all the ps vita has party chat, so I pretty much guarantee 99.9999% that the ps4 will have it. So now no1 (even kids) has reason to get a 720. Got to say your talking bs there dude all my mates and the people i know who own a 360 use party chat all the time its nothing to do with age its like useing skype while playing WOW or SWTOR etc helps players work together an friends to chat an have a laugh completely unfounded to believe only the kids use it and dumb! An yeah i suppose people could use an alternative like skype but why would they? party chat on the 360 does not dissrupt gameplay you can party chat while playing a diffrent game to your friends if you choose so going back to your suggestion of just use skype its a dumb idea when you can run all through 1 device. I'm not a 360 fanboy but a true gamer who likes all consoles for there diffrent perks and not naive and single console minded! Xbox 360 with the rrod people didn't care, people still buy. Why you ask, cause it had the best games that was suppose to be exclusives to ps3 launch. Look at where tekken landed when its one of the few games sony made a killing with on the ps2. Thats just an example. Gsmes! is what move the gamers not consoles. look at how games on phones are doing, thats my point. Im all in favor for who got the goods(games) not the hardware. I was once a fan of sony from the first one o the ps2, the other point i like to add, sony sold ps3 because it was a cheap blu ray hardware, thats what i ended up using mines for. But the heart of my gaming is xbox 360. PS4 needs its own Halo! I would like for PS to have its own game strictly for PS users like how x box has halo. The ps3 has a lot of ps only games. How do u not know that? Many say the ps originals are better than xbox's. Let's see just off the top of my head there's, resistance series, gran turismo series, killzone series, little big planet series, ratchet and clank series, and of course the uncharted series. I'm sure there's more, but that all I can remember at this time. I think there's lots of Japanese games as well, containing an entire anime genre that Xbox doesn't sell. So don't say ps doesn't have originals. IMO ps originals are better. THE GAME IS CALLED RESISTANCE! OH AND MANY MORE AS WELL!